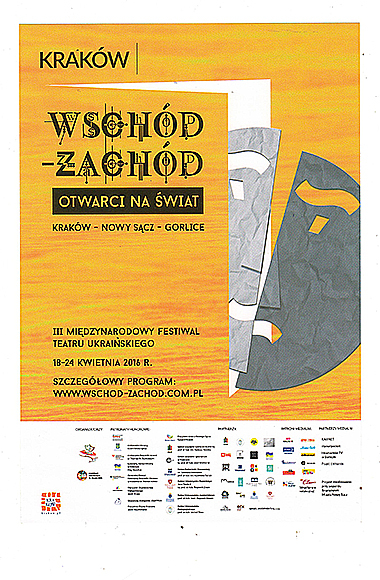 Students of the Institute of Culture and Arts participat in the International Theatre Festival. The 3rd International Festival of Ukrainian Theatre East-West was conducted on April 18 – 24. It was organized by the Fund of Mass Entertainment and Show Programs and Henrik Jordan Youth Center of Krakow. 25 creative teams of professional, amateur, student and youth ensembles from Kyiv, Izmail, Dnipropetrovsk, Kherson, Poltava, Kharkiv, Chernivtsi, Sumy, Rovno, Zhytomyr, Lutsk, Varshava, Bydhoshch, Tbilisi, Berlin and Vienna took part in the festival. 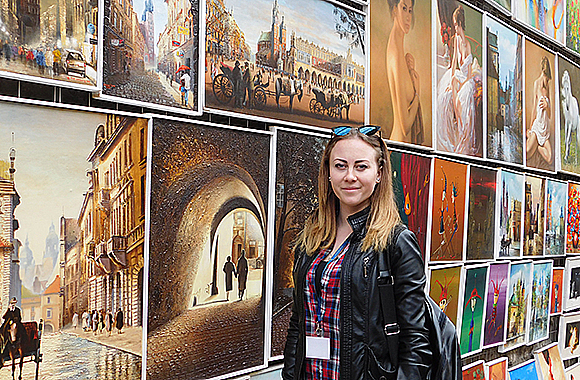 This year Anastasiia Bosenko and Anastasia Kozyreva – the representatives of student theater Symphony of the Soul of the Institute of Culture and Arts – have visited in the festival as well. Students had the opportunity to learn the practice of classic and avant-garde directions, communicate with the mates from different parts of Ukraine, Poland, Georgia, Germany and Austria, enjoy the ancient city, monuments and attractive landscapes and to explore classic and contemporary art. 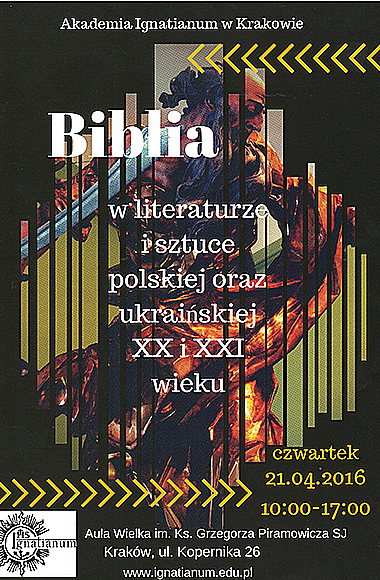 The Academy Ignatianum conducted the 1st International Conference “Bible in Polish and Ukrainian Literature and Art of the 20th – 21st centuries” within the Festival where Deputy Director for Educative Work of the Institute of Culture and Arts N. M. Filonenko presented a report “Art reception of biblical legend of Cain and Abel in the modern Ukrainian literature”.